Keeping the smartphone battery life last long is a real challenge for its users. iPhone 5 is also no exception to it!. You will run out of juice quickly, with prolonged video play or internet browsing!. 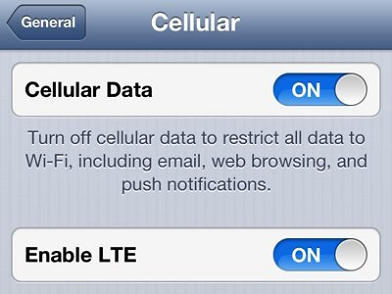 When your iPhone batter run low, you may turn off the LTE to make the battery last little longer at the cost of internet speed!.